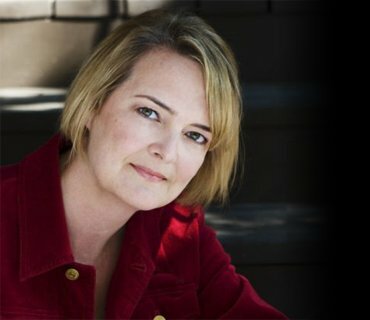 I offer a limited number of private karmic astrology sessions on Skype each month. See what I have available by clicking on the session you're interested in below. Read before you book so you're not disappointed! My sessions are not predictive astrology. I don't tell you what to do or what's going to happen to you. 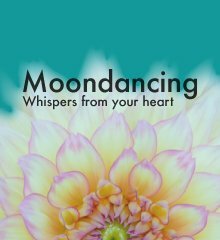 I will share ideas on how you can consciously step into your soul purpose. Answer questions about your past lives, if you have them. Plus reveal your current cycles, if you purchase an Energies for the Year (Solar Return) session. Nuff said. 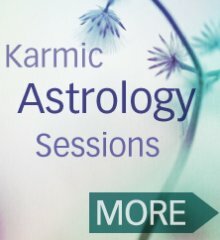 You can choose from three types of sessions: Life Purpose (karmic astrology), Energies for the Year (solar return) and combined sessions that cover both. Click on the astrology session you're interested in to see my availability and choose the time that works for you. To be notified when more appointments are available, sign up to my newsletter. After our session, I'll send you a link to your audio. For Life Purpose sessions, I use karmic astrology, also known as esoteric or spiritual astrology. Karmic astrology doesn't predict. Instead, think of it as a soul blueprint. each of us have a unique soul purpose which (if we commit to it) results in both spiritual growth – and fulfillment. Armed with this information about your soul, you'll be able to make choices that work with your soul instead of struggling against it. Whether you're a beginner, or a lifelong seeker, you will have opportunities to unfold your soul purpose in new ways for the rest of your life. You don't have to believe in past lives for karmic astrology to work for you. You do need to open to the possibility, though, and be curious. I love karmic astrology because it puts you in the drivers seat, helping you align your personality with your soul. It's like the law of attraction on steroids. When you do experience challenges in life (everyone does), the soul secrets revealed by karmic astrology will also help you get back on track more quickly. A perfect birthday gift for yourself or another! My Energies for the Year (solar return) sessions are a bit different than Life Purpose sessions using karmic astrology. Though you can do one anytime, the best time to do them is three months before or around your birthday. Energies for the Year (solar return) sessions reveal unfolding energies from birthday to birthday. They doen’t predict events. Instead, think of it this way. Your soul growth is a collection of vibrational spirals. Each year, there are subtle new lessons to learn in different areas of life. There’s an ebb and flow to it all. A time for hard work and a time for harvest. Each year, there may be a greater focus on one area of life than another. Knowing all this in advance helps you avoid struggle, take advantage of opportunity – and navigate your year with grace and ease. Again, Energies for the Year sessions (solar return) do not predict specific events. But by knowing where you are in a soul cycle, you can more easily meet challenges, recover quickly from change and confidently stay on track. Not sure of your birth time? To give you the best information, I do need your birth time. So I suggest that you dig deep to get it! If you can't get your birth time and are strongly drawn to have a session with me, I can give you general information about your Soul Purpose and karma. However, unfortunately, I won't be able to do an Energies for the Year session. Are you ready to invest in a private karmic astrology session?